One of the benefits of having a customizable CRM is that you can tweak it to fit the way you work. After all, your CRM account should fit you and your business, not the other way around. Having a CRM tailored to your preferences not only makes your work easier, but it makes it more enjoyable to spend time in the CRM. And when you use a product every day to enter notes, schedule meetings, and track leads, it's important to like what you see! In addition to customizing your groups, custom fields, and pipelines, below are 3 small, quick ways you can personalize your CRM. I'll also explain how I use each personalization feature, in case you need inspiration! 1. Create and color-code your subcalendars. 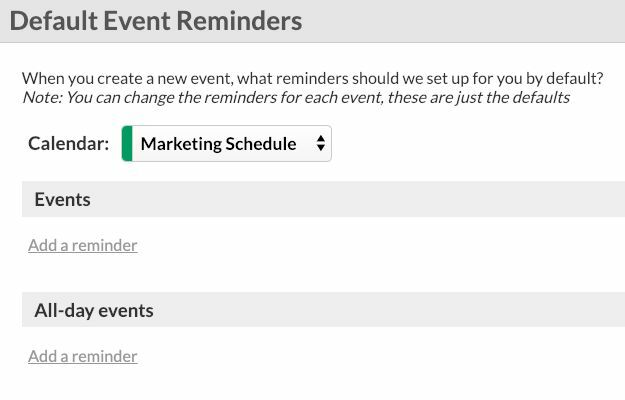 Less Annoying CRM introduced a subcalendars feature last year so that you can create different color-coded calendars for different kinds of events. 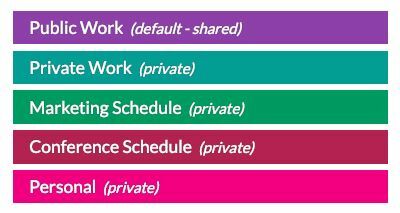 For example, you can have personal and work subcalendars so that you can see your entire schedule in LACRM. You can also choose to make a calendar private or public to the rest of your team. Public Work: this is where all of my customer and colleague meetings go, in addition to vacation and sick days. It's public so that I don't accidentally get double booked, and everyone knows where I am. Private Work: this is where most of my marketing tasks go. I don't need to clog up anyone's view of my calendar with these, so this calendar is private. Marketing Schedule: every published blog post and newsletter goes here so that I can easily get a month to month view of our editorial calendar. Conference Schedule: this calendar is for important conference deadlines (like early bird pricing and the last day to purchase a room from our hotel block), as well as an overview of our email marketing schedule. I actually sync this calendar with a Google Calendar so that colleagues can get a quick glance at the schedule. Personal: this is for non-work events, like seeing a movie with friends or getting a haircut. Check out this tutorial to learn how to create a subcalendar (we also include subcalendar ideas if you're not sure how to use this feature for your business!). 2. Tweak your calendar reminders to fit the way you work. On your Calendar Settings page, you can change your default event reminders on a per-subcalendar basis. For example, you might want to receive a 15 minute email reminder for work-related events and a 30 minute text message reminder for personal events. When you change your default event reminders, you'll also have the option to update your reminders for all existing events, or just new events created in the future. I receive email reminders for all of my work-related events and text message reminders for my personal events. I've also turned off any reminders for my publication-based calendars (like Marketing Schedule), since I don't need to take any actions based on events on those calendars. Note: we only have SMS reminders for the United States and the United Kingdom. 3. Update your Personal Preferences page. On your Personal Preferences page, you can determine what kind of notifications you want to receive, in addition to click-to-email and click-to-call preferences. If you're on a team, you might want to talk to your manager before turning any notifications off, in case you're expected to receive notifications for things like new tasks, contacts, or events. I actually have ALL of my notifications turned on! I like knowing when a colleague has changed an event and when I'm assigned a task to follow up with someone. For admins and owners: change the name and colors of your account. From the Company Name and Colors page, users with administrative privileges can change the appearance of their CRM account. You can change the name that appears in the upper lefthand corner of your CRM account (your company name would be a great choice!) 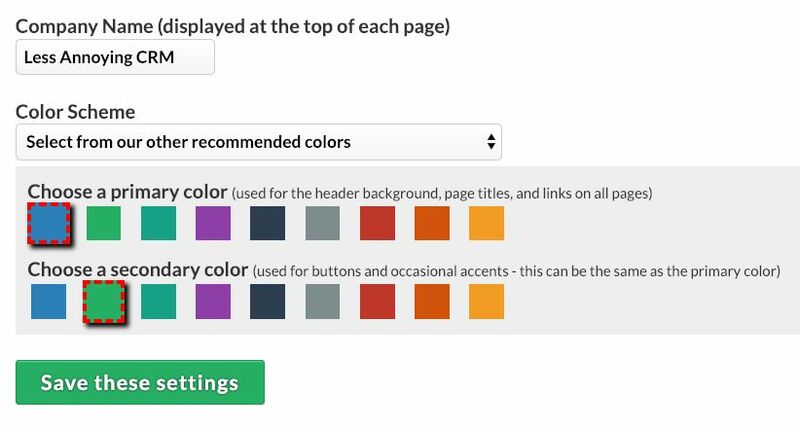 as well as the main and accent colors in your account. We have a recommended color palette, since some colors look better than others. Our team changes our account color every few months! Usually, the color is based on the season: a nice warm red in Fall, a bright green in Spring, etc. Since we spend all day in the CRM, it's fun to keep it fresh. I will admit, however: my favorite colors are our default blue and green. I hope these tips help make Less Annoying CRM even more enjoyable to use! Don't hesitate to contact us if you have any customizing tips you'd like to add or questions about the CRM.